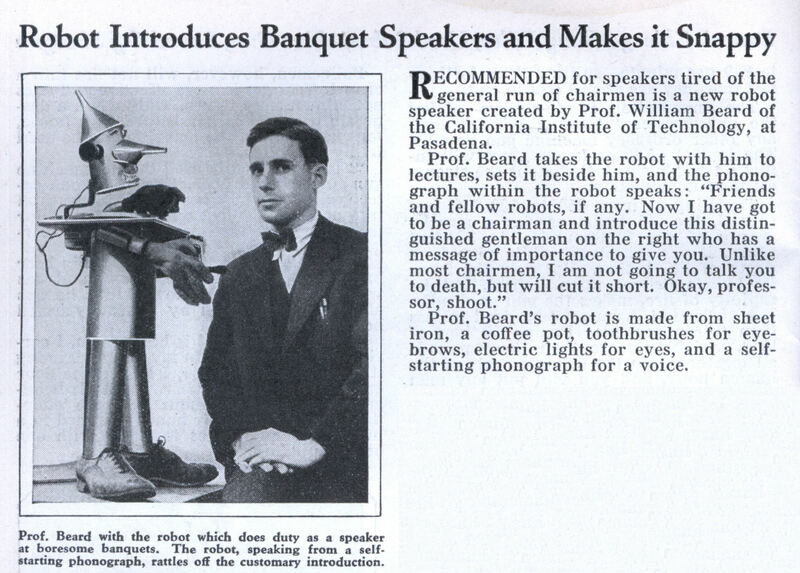 RECOMMENDED for speakers tired of the general run of chairmen is a new robot speaker created by Prof. William Beard of the California Institute of Technology, at Pasadena. Prof. Beard’s robot is made from sheet iron, a coffee pot, toothbrushes for eyebrows, electric lights for eyes, and a self-starting phonograph for a voice. This guy’s from Cal Tech and THIS is the best he could come up with? So that’s why my robot didn’t work…I didn’t give him wingtips! 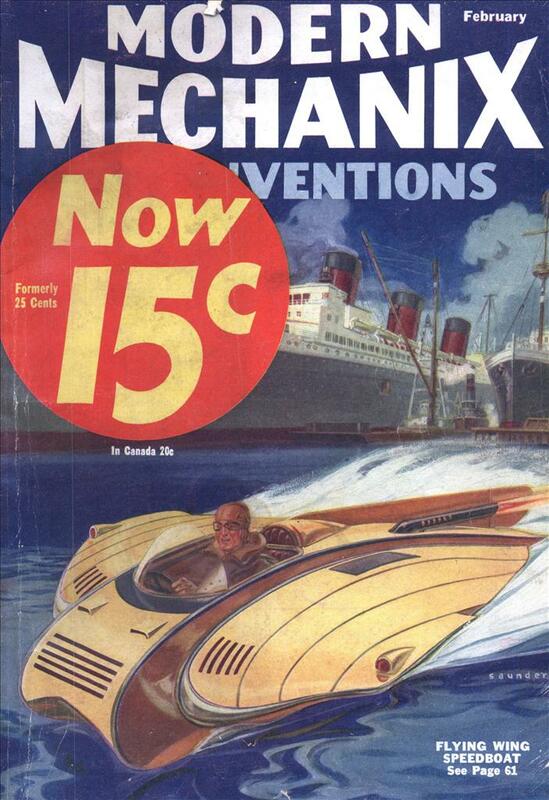 And again yet another proof that Calvis was o so right, in order to make a robot you need: The lever, the pulley, the inclined plane, and, um, the internal combustion engine.